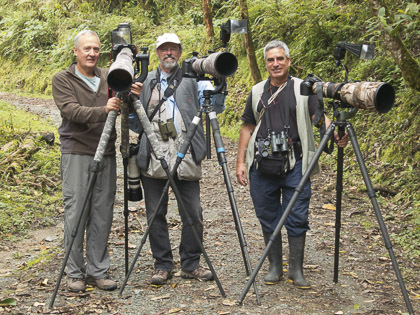 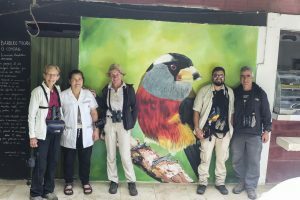 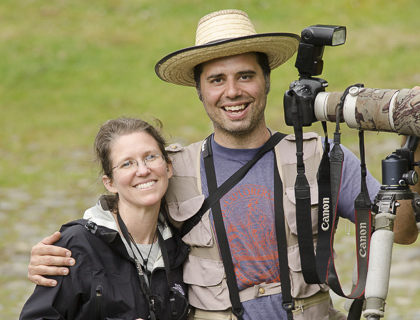 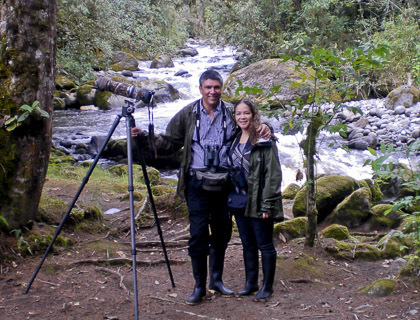 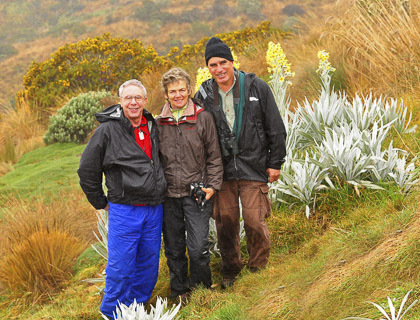 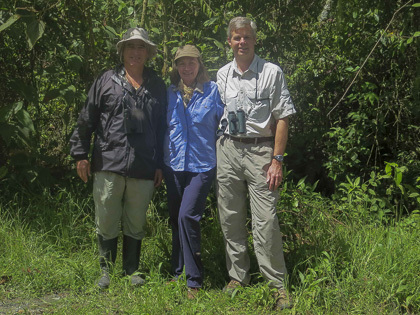 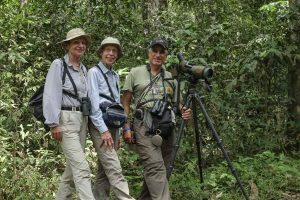 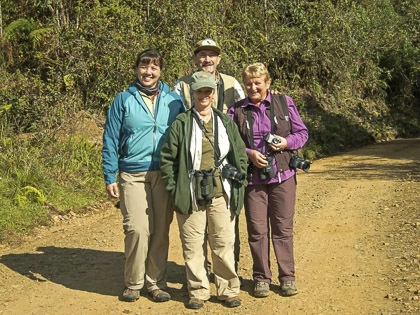 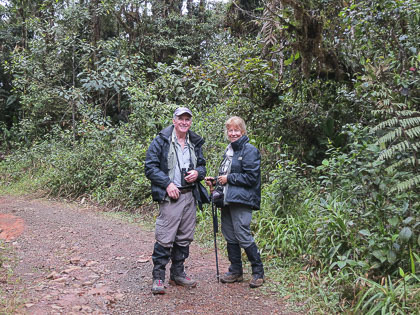 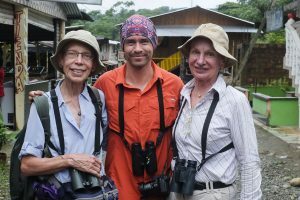 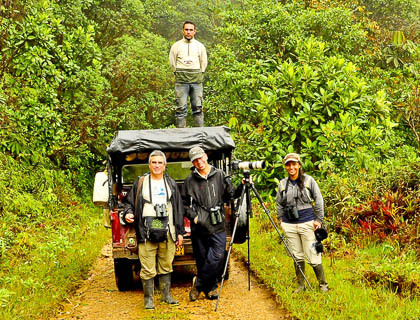 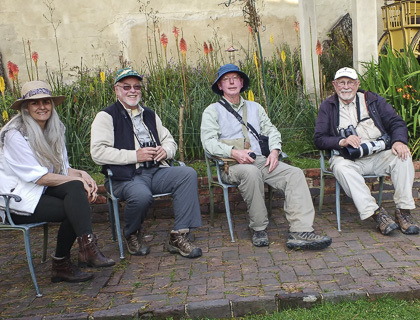 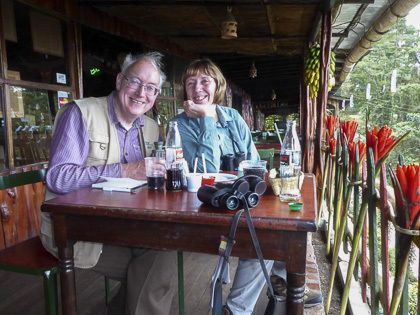 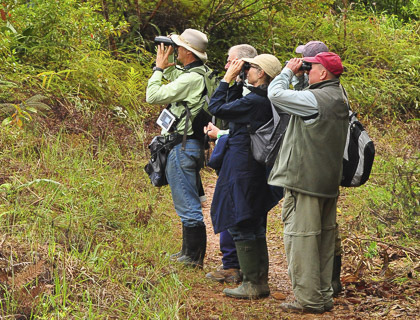 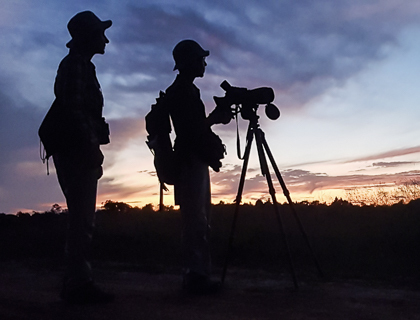 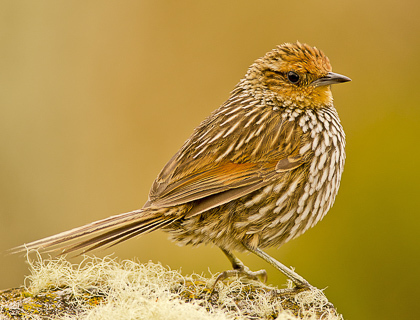 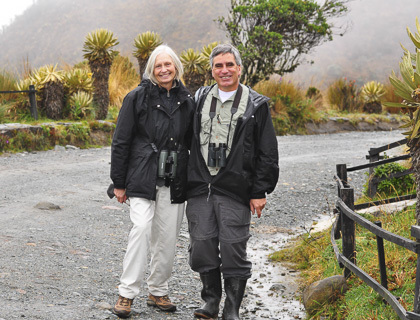 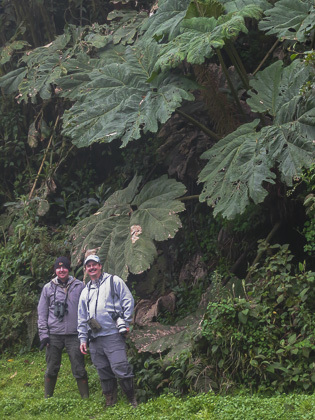 Birding in Inírida, San José del Guaviare, San Cipriano & the Anchicayá Valley with Katy Krigbaum & Birgit Felser (Feb. 4 – 27, 2019). 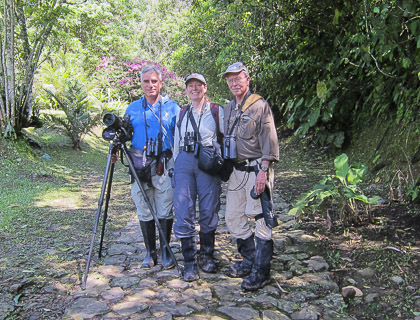 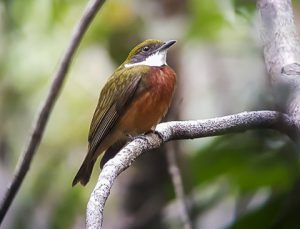 From February 4 – 27 (2019) we birded Inírida & San José del Guaviare in the Colombian Amazon, plus the upper ridges of the Western Andes near Cali, dropping to the Pacific lowlands of San Cipriano and traversing the mountainous route from Aguaclara to El Danubio & El Queremal in the gorgeous Anchicayá Valley. 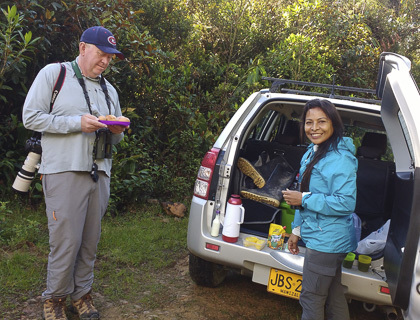 Tour started in Bogotá and involved domestic flights from Bogotá to Inírida (two ways), from Bogotá to San José del Guaviare (two ways), and from Bogotá to Pereira (one-way), and a final flight from Cali to Bogotá with connections back home. 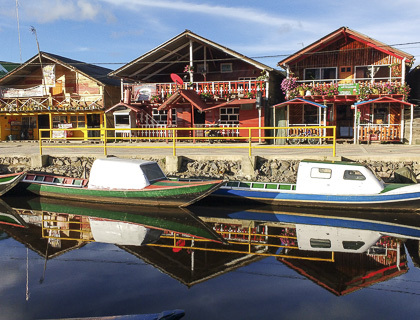 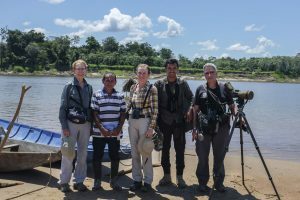 At Inírida we used local moto-taxis and river boats to get from our comfortable hotel to the birding sites, and in San José & the long loop from Pereira to Cali, San Cipriano and Anchicayá we used good 4x4s. 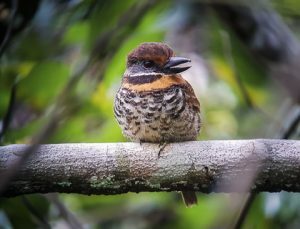 The Spotted Puffbird, one of the most wanted birds by Katy & Birgit, seen on our second day of birding at Guamal. 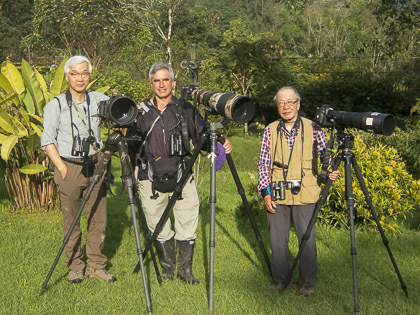 Image taken by Camilo Orjuela through Kowa scope. 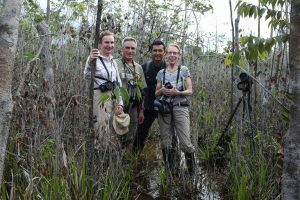 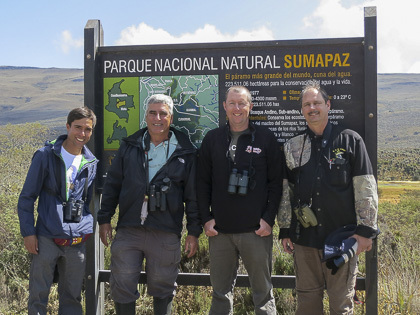 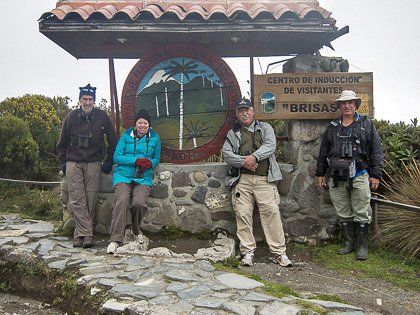 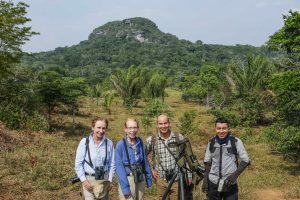 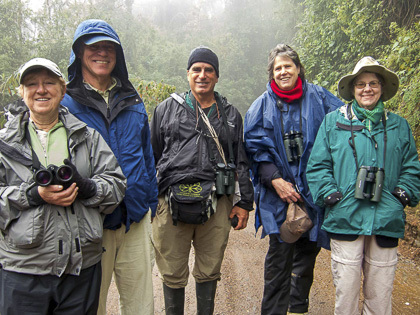 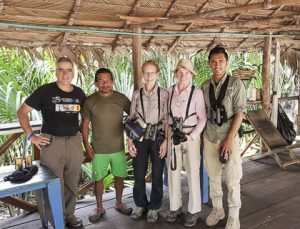 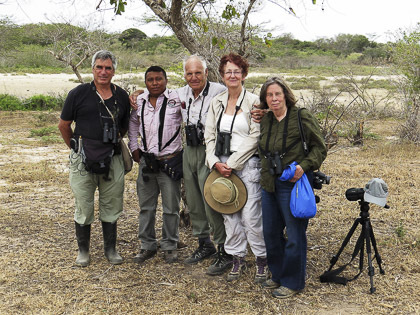 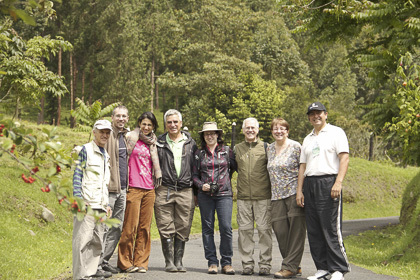 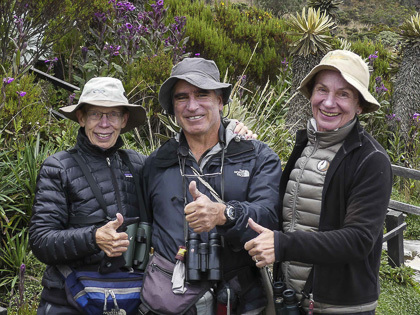 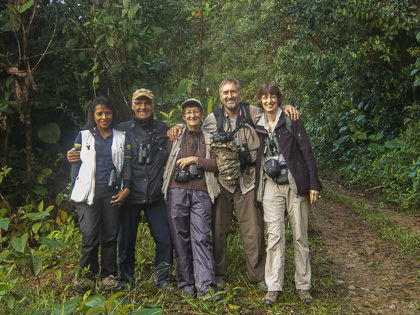 Our birding group on the first full day of birding at Inírida, from left to right: Daniel Uribe, Jaime Córdoba (Caño Vitina´s Evangelical Pastor), Katy Krigbaum, Birgit Felser and Camilo Orjuela. 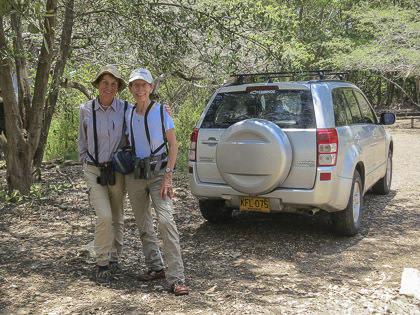 We registered 585 species, of which 58 were new for Katy & Birgit. 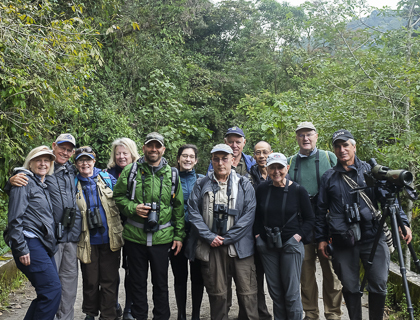 At Inírida we enjoyed tons of nice birds, including Muscovy Duck, Blue-throated Piping-Guan, four species of Macaws (Blue-and-yellow, Scarlet, Red-and-green, Chestnut-fronted), Blackish Nightjar, Green-tailed Golden-Throat, Festive Coquette, Amethyst Woodstar, Blue-chinned Sapphire, Black-tailed Trogon, American Pygmy Kingfisher, four species of Jacamars (White-eared, Brown, Bronzy, Paradise), Spotted Puffbird, Orinoco & Golden-spangled Piculet, Yellow-throated, Cream-colored & Golden-green Woodpecker, Silvered & Yapacana Antbird (among many antbirds and antwrens), Black-spotted Bare-Eye, Orinoco Softtail, Plain-crested & Rufous-crowned Elaenia, Helmeted Pygmy-Tyrant, White-eyed Tody-Tyrant, Fuscous Flycatcher, Cinnamon & Citron-bellied Attila, Amazonian Umbrellabird, Capuchinbird, Spangled & Pompadour Cotinga, Bare-necked Fruitcrow, four species of manakins (Black, White-crowned, Yellow-crowned, Wire-tailed), Paradise & Opal-rumped Tanager, Rose-breasted Chat, Velvet-fronted Grackle and Plumbeous Euphonia. 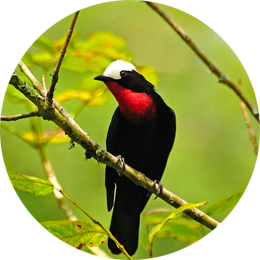 The Yellow-crowned Manakin (Heterocercus flavivertex), seen here at Sabanitas. 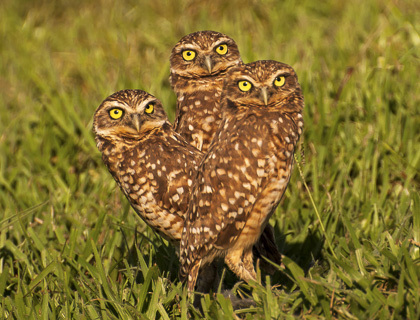 Image taken by Camilo Orjuela through Kowa scope. 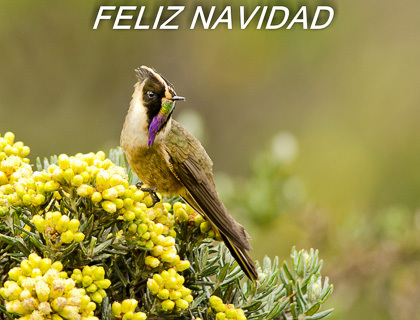 Our imitation of the Capuchinbird cow-like grunt cannot be better! 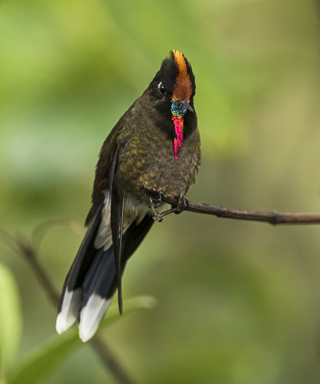 We greatly enjoyed the displays and puzzling sounds of this magnificent bird. 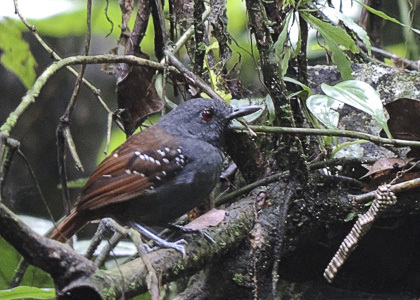 All very happy after seeing the Yapacana Antbird (Aprositornis disjuncta) in its typical habitat of flooded sandy-belt forest in Sabanitas. 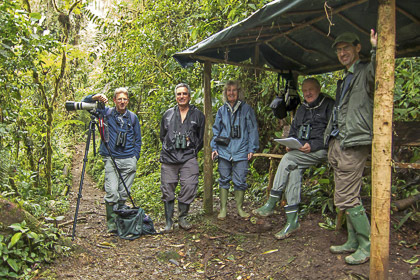 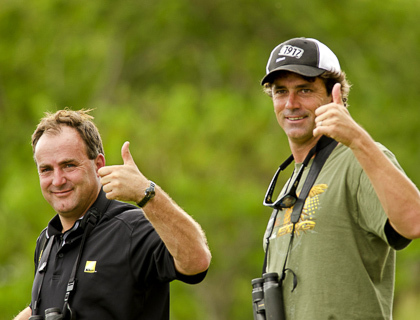 All very happy after birding succesfully at La Rompida, Don Rafael´s farm over the Guaviare river. 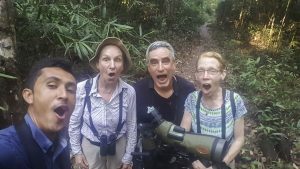 Here we saw the Blue-throated Piping-Guan, White-bearded Hermit, Festive Coquette, Blue-chinned Sapphire, the so-called “Inirida Antshrike”, Fuscous Flycatcher and Amazonian Umbrellabird, among many others. 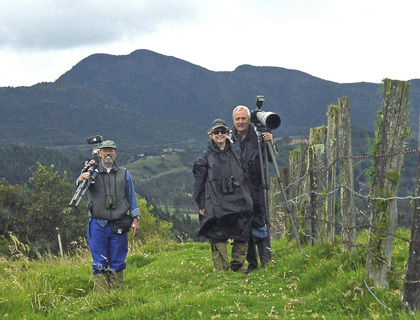 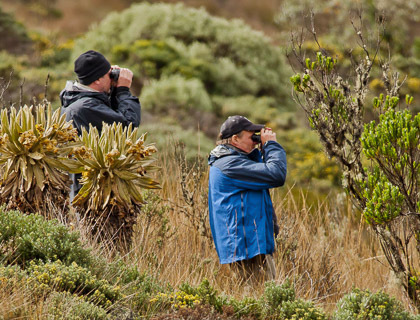 Birding Inírida will be incomplete without a visit to Cerros de Mavicure, some 3 hours by boat along the Inírida River. 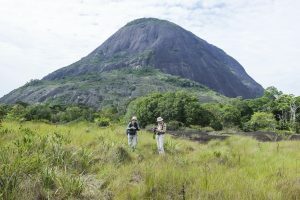 A mix of savanna, scrubland, varzea and terra firme forest is found at the base of the Mavicure formations. 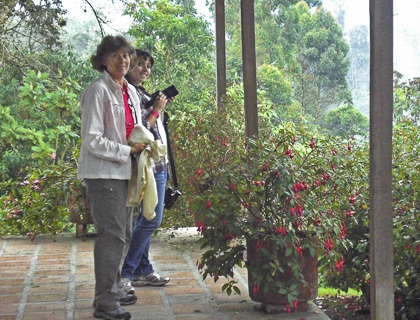 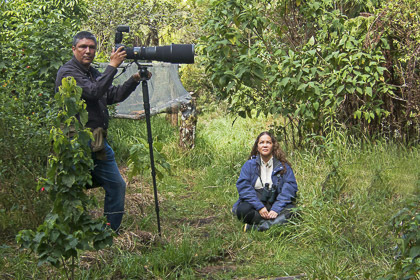 Here, Katy & Birgit while photographing the “Flor de Inírida” after birding the terra firme forest. 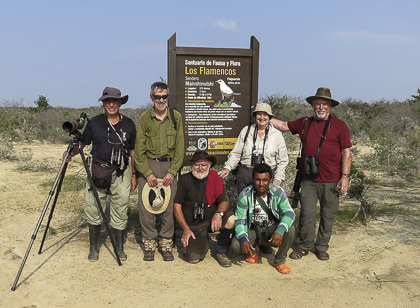 San José del Guaviare hosted many new birds for the trip, including good views of Little & Undulated Tinamou, Orinoco Goose, Pearl Kite, Sunbittern, Scarlet-shouldered Parrotlet, Hoatzin, Great Potoo, Sand-colored Nighthawk, Sooty-capped Hermit, Green-and-rufous Kingfisher, White-chinned Jacamar, Chestnut-capped Puffbird, Scarlet-crowned & Gilded Barbet, three species of Aracaris (Lettered, Chestnut-eared, Many-banded), Chestnut & Ringed Woodpecker, eight species of Woodcreepers (including Long-billed, Striped & Elegant), Yellow-crowned Elaenia, Cliff & Euler´s Flycatcher, White-browed Purpletuft, Chestnut-crowned & Pink-throated Becard, Red-capped Cardinal, Magpie Tanager, Solitary Black Cacique and Golden-bellied Euphonia, to cite just a few. 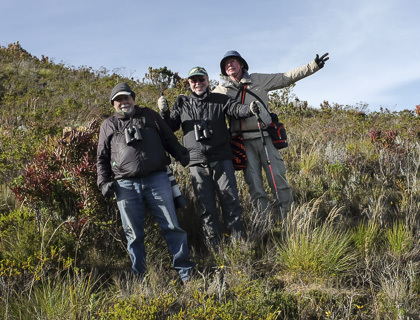 On our way to Cerro Azul, at the Serranía de La Lindosa, in search of the elusive Orange-breasted Falcon. 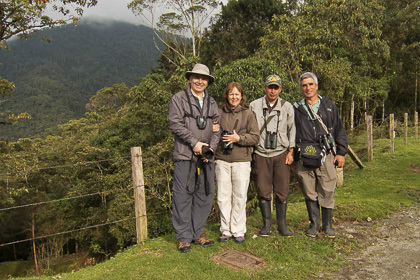 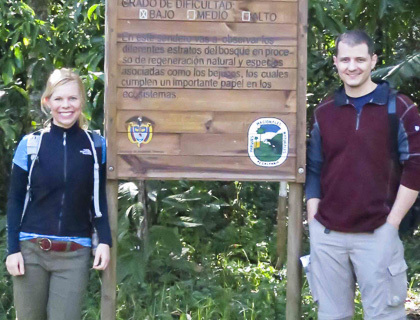 From left to right: Birgit, Katy, Cristian Mur & William Rojas (local guide). 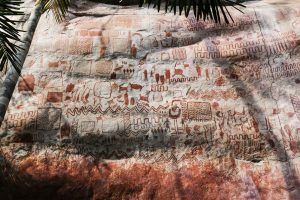 Cerro Azul has an amazing display of Indian art over lime stone. 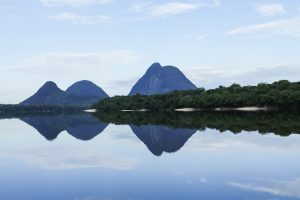 Something not to miss! 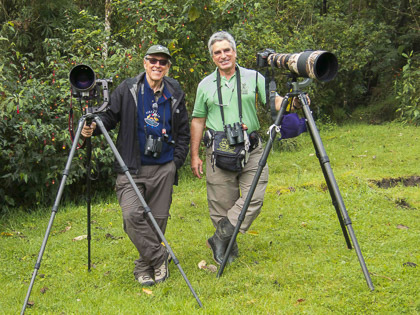 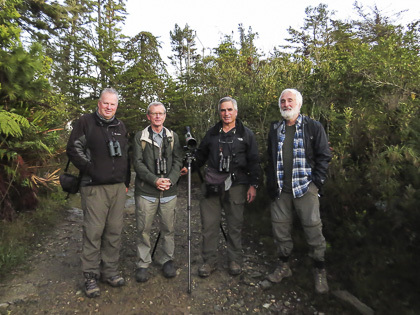 Our idea for this photo was to show our very clean shoes while birding Playa Güio in Guaviare, but Cristian for some unknown reason refused to include them inside the frame! 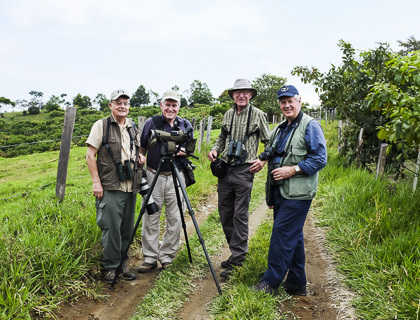 The Anchicayá Valley & San Cipriano were most productive, with sightings of Berlepsch´s Tinamou, Baudo Guan, Black-and-white & Ornate Hawk-Eagle, Dusky Pigeon, Pallid Dove, Purple & White-throated Quail-Dove, Rose-faced & Saffron-headed Parrot, Crested, Mottled & Black-and-White Owl, Choco Poorwill, Band-tailed Barbthroat, White-whiskered Hermit, Tooth-billed Hummingbird, Purple-crowned Fairy, Purple-chested Hummingbird, Blue-tailed & Black-throated Trogon, Broad-billed & Rufous Motmot, four species of Puffbirds (Black-breasted, Pied, Barred & White-whiskered), Lanceolated Monklet, Spot-crowned & Five-colored Barbet, Yellow-throated & Choco Toucan, Lita & Cinnamon Woodpecker, Russet Antshrike, Spot-crowned Antvireo, ten species of Antwrens & Antbirds (including Esmeraldas, Stub-tailed & Zeledon´s Antbird), Black-headed Antthrush, Northern Barred-Woodcreeper, Black-capped Pygmy-Tyrant, Black-headed Tody-Flycatcher, Pacific Flatbill, Whiskered & Ruddy-tailed Flycatcher, Tufted & White-ringed Flycatcher, Rufous Piha, Black-tipped Cotinga, four species of Manakins (Green, White-crowned, Golden-collared, Blue-crowned), Scaly-breasted, White-headed, Sooty-headed & Whiskered Wren, Slate-throated Gnatcatcher, Golden-chested & Gray-and-Gold Tanager, Golden-hooded, Rufous-winged & Emerald Tanager, Scarlet-thighed Dacnis, Scarlet-browed & Scarlet-and-white Tanager, Lemon-spectacled & Ochre-breasted Tanager, Blue-black Grosbeak and Golden-bellied (Choco) Warbler, among many others. 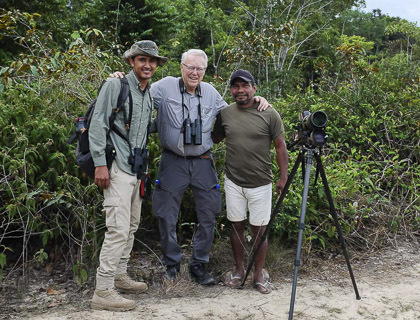 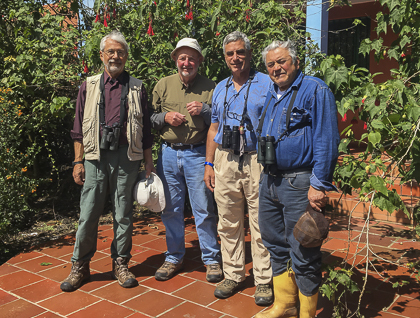 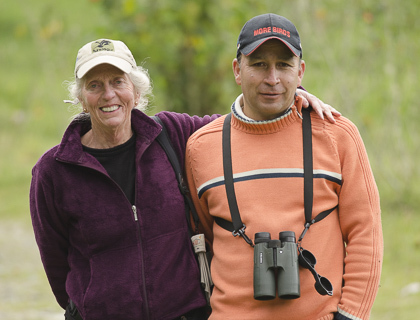 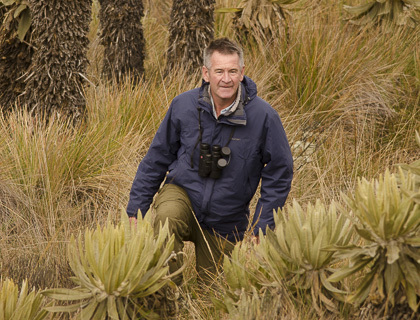 On our short stay at San Cipriano, we enjoyed a brief encounter with Fernando Ayerbe Quiñones, author of the excellent Field Guide to the Birds of Colombia, just recently published (2018). 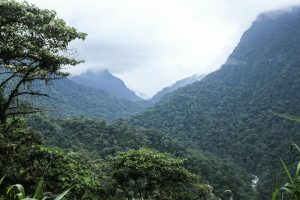 The Anchicayá Valley, seen from the gravel road that runs between Aguaclara and El Danubio. 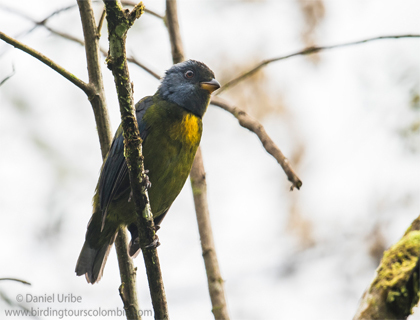 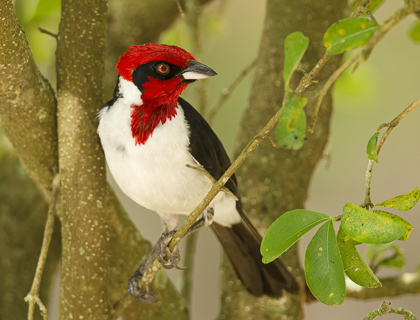 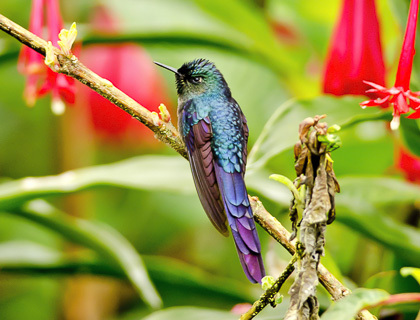 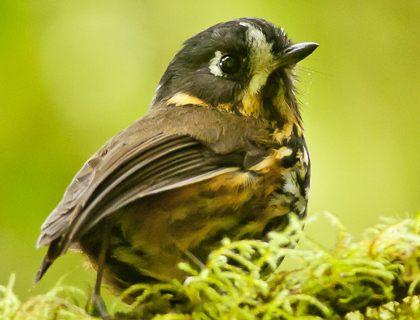 Without any doubt, the altudinal gradient and exhuberant forests makes Anchicayá one of the top birding destinations in Colombia. 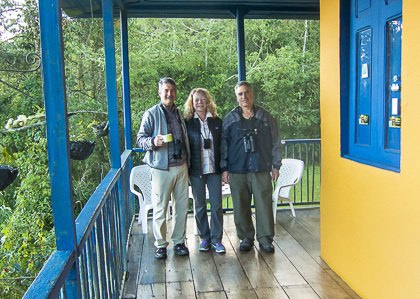 At “El Descanso de Doña Dora”, with Doña Dora and local guide Anderson Muñoz. 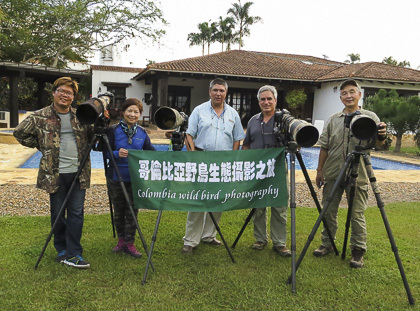 The feeders attracted many birds, including Toucan Barbet, White-whiskered Hermit, Rufous-gaped Hillstar, Empress Brilliant, Rufous-throated Tanager, Black-headed Brush-Finch, Tricolored (Choco) Brush-Finch and many others!